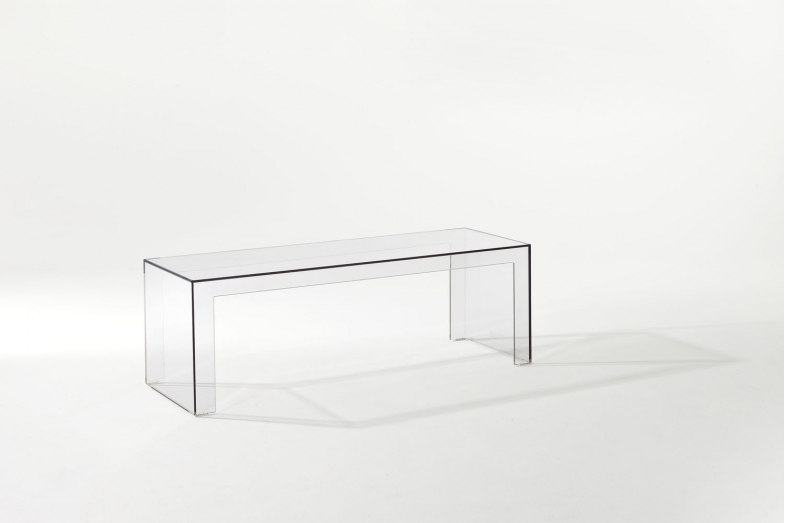 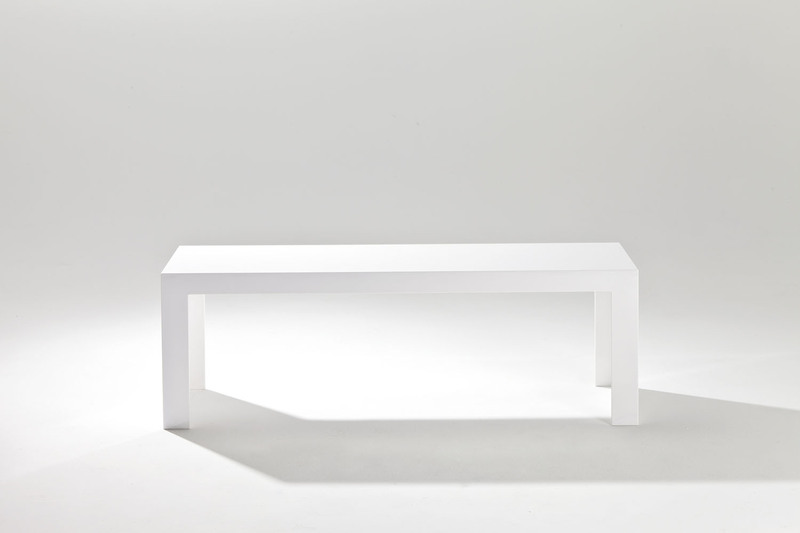 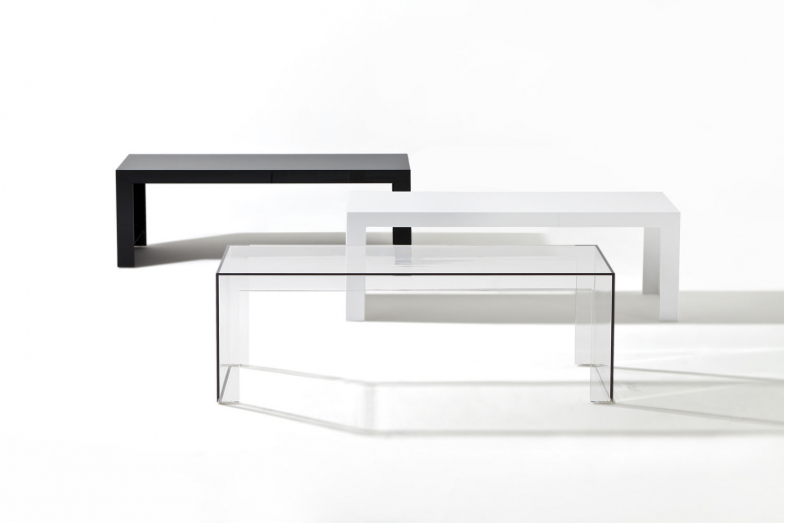 Kartell Invisible Side Table by Tokujin Yoshioka, a piece of clean, linear, minimal design, the aesthetic synthesis of the designerâ€™s Japanese culture. Invisible Side is a multi-functional product, light and elegant which can be easily transformed into a side table or a bench in the various home environments from living room to bedroom but adapts to the various functions demanded by contract. Invisible Side comes in two transparent versions (crystal and smoke) and two matte versions (white and black).